Ambassador Jackson McDonald (Ret.  ), Executive Vice President of Jefferson Waterman International, was recently honored with the prestigious FY-2010 Presidential Meritorious Service Award. Specifically, the award recognizes Amb. McDonald’s accomplishments in successfully negotiating the preservation of a critically important military transit center in Kyrgyzstan, status of forces agreements with the Czech Republic, Poland, and Colombia, and burden-sharing agreements with Japan and South Korea that, according to the U.S. State Department, “saved U.S. taxpayers more than $5.4 billion.” Amb. McDonald concluded these agreements when serving as the U.S. Department of State’s Senior Advisor for Security Negotiations and Agreements 2007-2009. Before retiring from government service and joining JWI in 2011, Amb. McDonald’s positions included serving as U.S. Ambassador to Guinea and The Gambia, and as the Deputy Chief of Mission at the U.S. embassies in Kazakhstan and Côte d’Ivoire. At JWI, he advises international and government clients, and is a member of JWI’s Africa Advisory Board. Amb. McDonald previously received the U.S. Department of State’s Superior Honor Award seven times.